It’s a dream come true for Ain't Too Proud: The Life and Times of The Temptations fan as they come to perform an unstoppable show at Imperial Theatre – make the most of this incredible experience by booking tickets for the Saturday 6th April 2019! 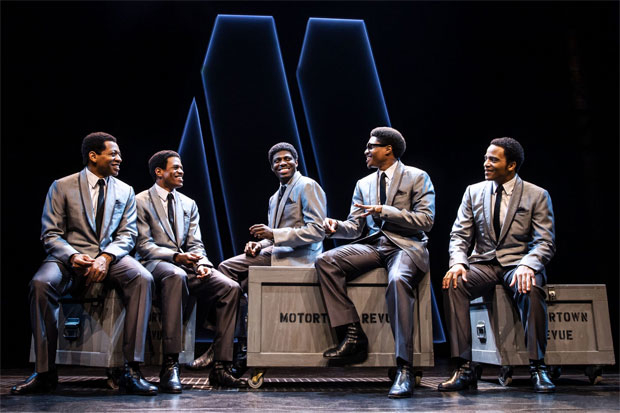 Experience the spectacular production of Ain't Too Proud: The Life and Times of The Temptations – one of the most talked about Theatre events of the year! This life-changing show comes to Imperial Theatre on Saturday 6th April 2019, bringing the critically acclaimed performance to the stage and creating a world like no other! Escape from the routine of your usual Saturday and find yourself totally immersed. A hit from day one, there's a reason Ain't Too Proud: The Life and Times of The Temptations has been the Theatre show on everyone's lips – you've never seen anything quite like this! Make sure you catch Ain't Too Proud: The Life and Times of The Temptations while it's in New York City – tickets will sell out quickly and you won't want to miss this unforgettable show!